Sometimes having kids help in the kitchen is more work than it is helpful. 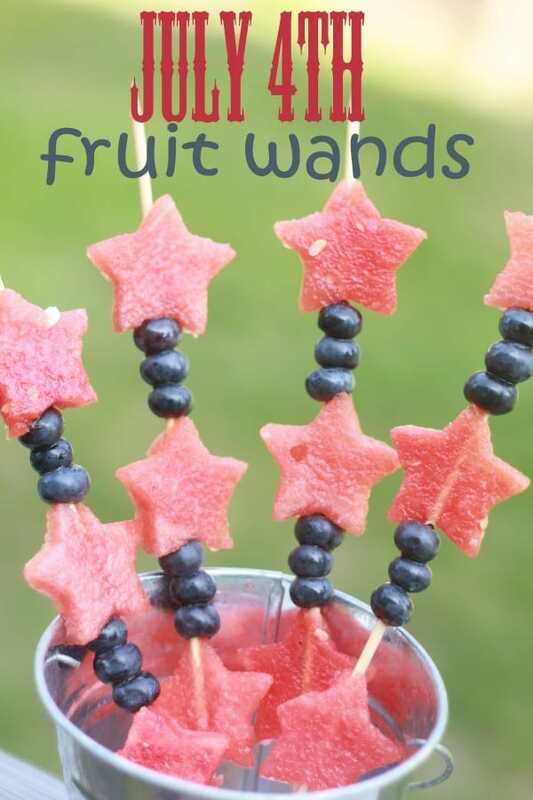 Well these July 4th fruit wands are not only adorable but they are simple enough for kids any age to help with! So give the kids the next task of making something for the annual family Fourth of July barbeque! Not only will the treat be delicious but the presentation is sure to impress. What is better than your kids getting tons of compliments on their hard work and you feeling a little less stressed as you got everything else ready for the big event! 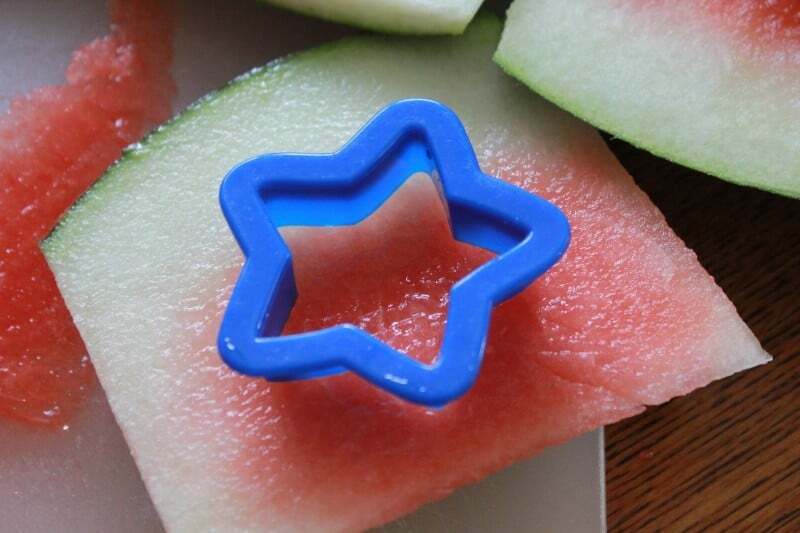 Cut as many stars as you can our of each watermelon slice (one slice at a time)- depends on the size of your cookie cutter and your watermelon but if you can get 6-10 out of each you are on the right track with size-not too small and not too heavy! Fill each kabob skewer with 3 watermelon stars and 3 blueberries in between. You only want the skewers to be about half full so they can be held easily and eaten! Make sure when you put the stars on that you go right through the middle – this will make them the most secure. When you have made all your wands each watermelon slice will have lots of extra pieces to just cut up and throw in a bowl for more snacking! So use it all up- if you or someone you know has chickens, give them the scraps. It’s one of our chickens’ favorite snacks- and they will make sure nothing goes to waste. 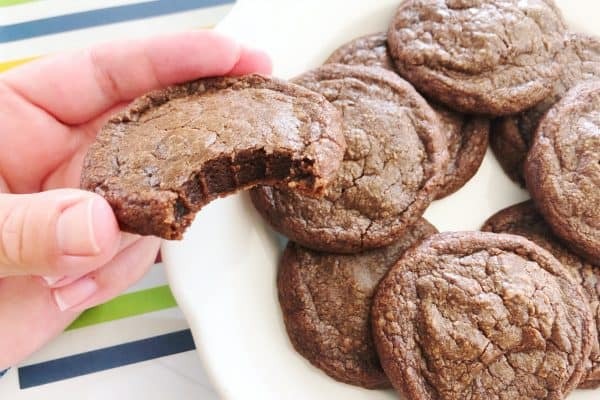 The great thing about these easy yet yummy treats is that although I have instructions they are pretty easy for someone to just figure out and get going on. 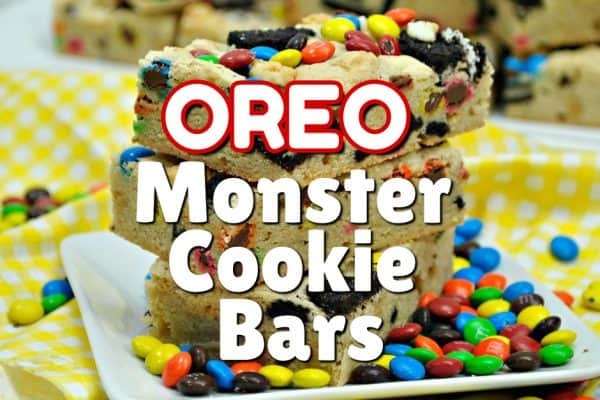 So let your kids help out in the kitchen by making this healthy Fourth of July crowd pleaser! Want more July 4th yums? Check out our Patriotic Popcorn or our Patriotic Popsicles! These are just to cute! Found you today at Motivation Monday! Awesomeness! I just found something I can easily pull off and make it look cute and festive for our 4th of July table! Thanks so much! This is so easy. It will make a great surprise. These are cute! My husband and I were just talking 4th of July stuff to make to bring to a family bbq, I think this will be included in what I’m bringing! I have all the ingredients to make these and I think they look so pretty and great to have for the 4th of July as a treat. I will have to make your awesome recipe. That gets me in the 4th of July spirit! Yum! This would be a big hit for the kids in my family! These look yummy and so festive. This would be fun to make with the kids. What a refreshing little snack, and I love that these are mess free, awesome for the kids, and a much better option. 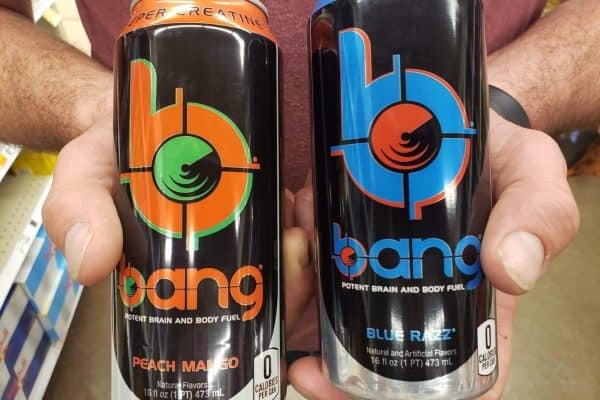 These are perfect for the 4th of July. The kids will love these. Thanks for the information. these are so cute and very doable for kids to actually, really help!! very festive – a must do!